Fast Bollard Signage Printing – 48 hour delivery. Corflute Bollard Signs are becoming very popular in Australia these days thanks to the latest technology in direct printing to boards that is now available. With UV printing, corflute sign printing can be used for temporary advertising as well as permanent. We offer custom designs in other sizes in addition to the 380mm x 1000mm shown on this page. 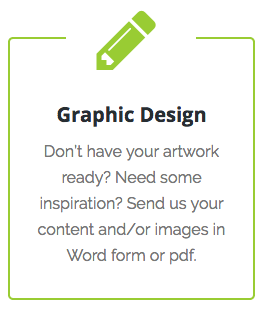 Get QuoteArt TemplatesUpload FileNeed a Designer? 380 x 1000mm each panel. Delivery within 3 business days. Bollard and pole signage can be one of the least expensive means of advertising your business ourdoors or semi-outdoors. 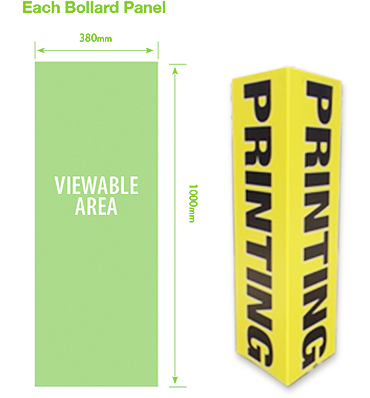 We offer the Bollard Tri-fold Slip – full colour printing on commercial grade 3mm Corflute. Easy to use sign slips over poles and bollards. Great for use as a directional sign or special offer. Each panel can be the same image or different. Turn a dull space into a business promotional product that draws customers with little or no work on your part.